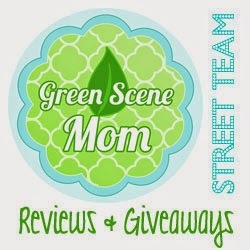 This is a teething product review and giveaway. This is called Camilia teething medicine and it retails for $7.99 for a 15 dose box. For a parent, when that first tooth pops up, it is like seeing the first flower of spring—a new milestone, a Facebook status update! However, the cutting of teeth is different from other childhood milestones in that it isn’t a one-time occurrence, but rather an ongoing process, sometimes lasting up to three years. And while the first tooth is a photo opportunity and a special notation in your baby book, the rest can just be, well, uncomfortable for baby and for mom. So it’s important to find a teething relief medicine for your child that is safe, easy to administer, and actually relieves teething pain instead of just masking it. Many parents have found this solution inCamilia®, made by Boiron®, world leader in homeopathic medicines. Camilia is a homeopathic medicine that works naturally and safely with the body to relieve teething pain without side effects or risk of overdose. It’s a one-step teething solution for pain and irritability that’s easier than the two-step process that some parents use for treating teething pain (a short-term topical numbing agent applied frequently throughout the day combined with a longer-lasting anti-inflammatory at night). Camilia can be used for children ages one month and older, and parents can dose as frequently as every 15 minutes. With Camilia, there’s no risk of overmedicating, drug interactions, masking of other symptoms, or numbing your baby’s gag reflex. It is made without benzocaine, dyes, sugar or preservatives, and it is tasteless.